You need concrete retaining wall with expert construction! Dreaming of expanding your backyard? Or hold back that hill from sliding onto your patio. A concrete retaining wall can provide the hardscape needed for your home or business. When properly engineered and installed, a concrete retaining wall will hold back the force of nature. Midwest Concrete and Construction has designed and constructed thousands of concrete retaining walls, from two foot to twenty foot, we have the knowledge and experience to build your next concrete retaining wall. Midwest Concrete has designed and constructed retaining walls that provide a solid engineered structure and beautiful hardscape. Concrete Retaining Wall Designs, Ideas and Construction. Boasting thousands of possible color combinations and patterns you can create your own personal haven or retreat that will stand the test of time. With all of the amazing characteristics that concrete has, it is the product of choice for the educated consumer. 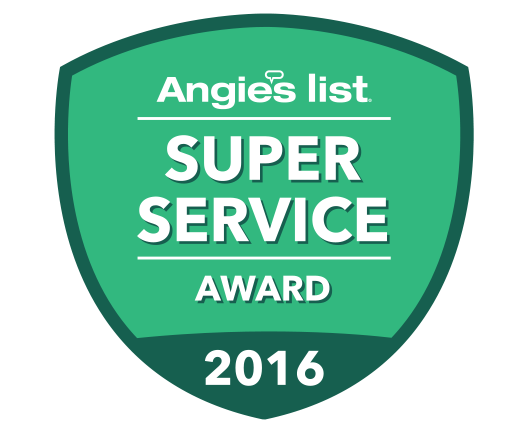 So, why should I choose Midwest Concrete for my new concrete retaining wall? Because you cannot afford to have your concrete retaining wall fail. 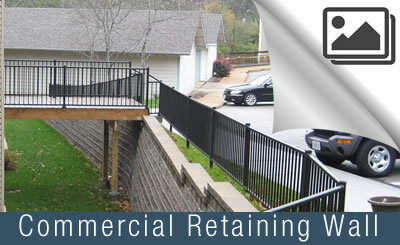 Midwest Concrete has been designing and constructing retaining wall longer than anyone in the area. If you want a solid structure that will stand the test of time, we can help. Since 1978, Midwest Concrete and Construction has specialized in custom designs, colored, stamped concrete standard finish concrete hardscapes for commercial and residential customers in the St. Louis, MO metro area. We can help you design a beautiful concrete project that you’ll be proud of, and will add pleasure, curb appeal and value to your property. 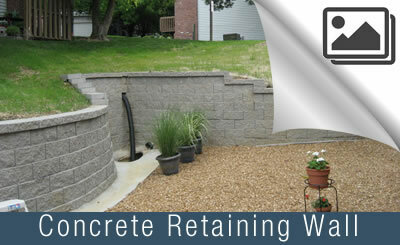 Midwest Concrete crews are professionals at transforming hard to use areas into a more practical extension of your home. Our concrete retaining walls often add the safety and room needed for you to enjoy your yard. Connected to or located near the home, we blend the interior with the exterior by matching the stone facade of their house with decorative concrete to create that unique look without the expense of installing traditional individual stones. 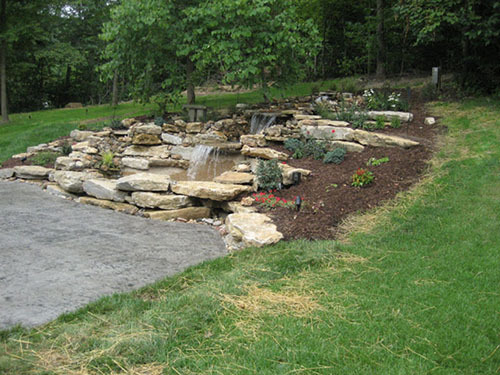 Turn your yard into an area that you love with the help of Midwest Concrete. Call us at 636-451-5424 or contact us online to start your concrete retaining wall project. The hardscape that Tom and the crew created is simply amazing. There are steps and a retaining wall on the lower side of our pool, and it all blends in perfectly with everything in our backyard. Thanks Tom, for a job well done!